The cards show a contact picture when one is available, but otherwise it's a colored block with the first initial (like the Gmail app). The dialer search box is still up at the top and the blue action bar is at the bottom. Since we only have the one dialer screen, we can't confirm that blue top action bar posted by the Nexus Twitter account the other day. The screens were taken from a Nexus 5 belonging to a friend of the original poster. 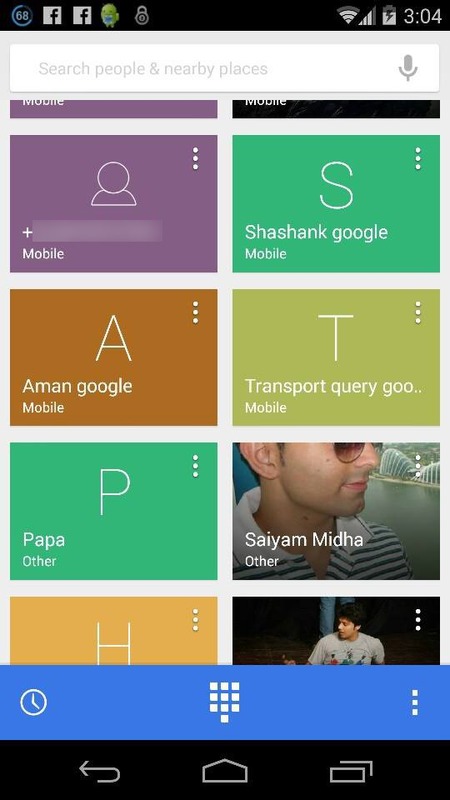 This person might be a Googler, judging by the names on some of the contacts. However, there's a task killer icon in the status bar, which is pretty weird. 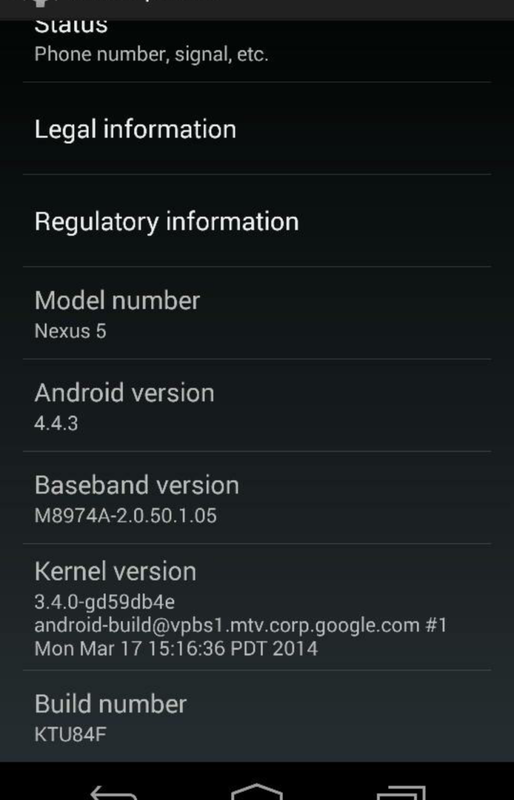 It would be odd for Google to tweak the dialer so much in a 0.0.1 bump, but we'll have to wait and see what happens.